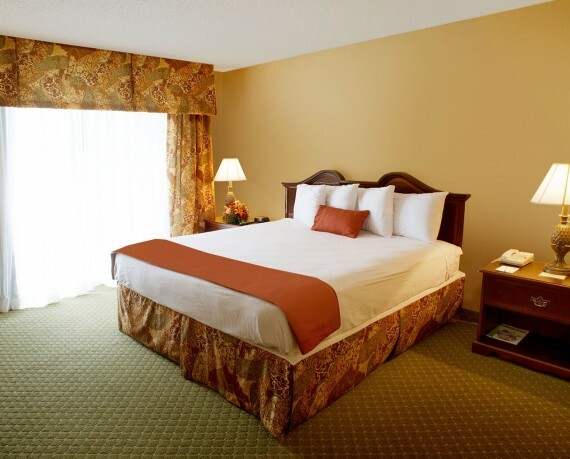 Our Executive Edition King Room features a king bed, upgraded furnishings, a sliding glass door opening onto a balcony, and premium quality amenities. 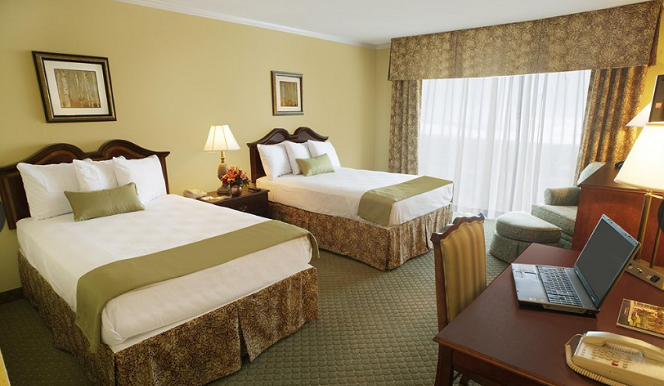 Our Executive Edition Double Room features two double beds, upgraded furnishings, a sliding glass door opening onto a balcony, and premium quality amenities. 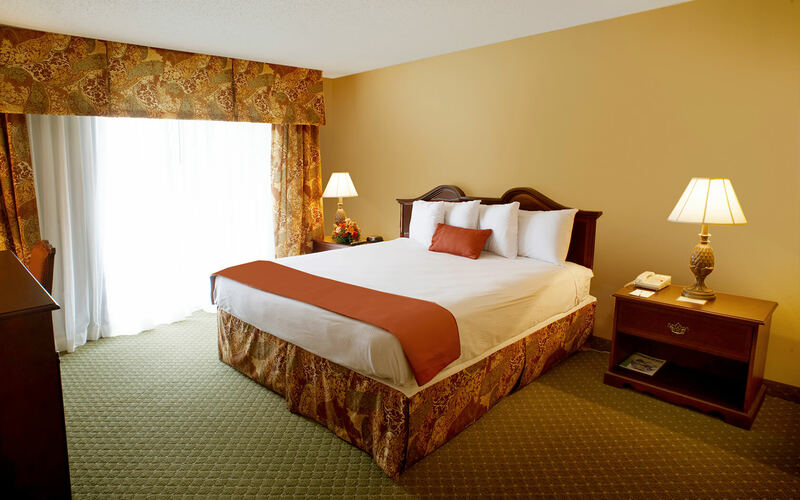 A king bed and a sliding glass door leading onto a balcony or patio are featured in our King Rooms. 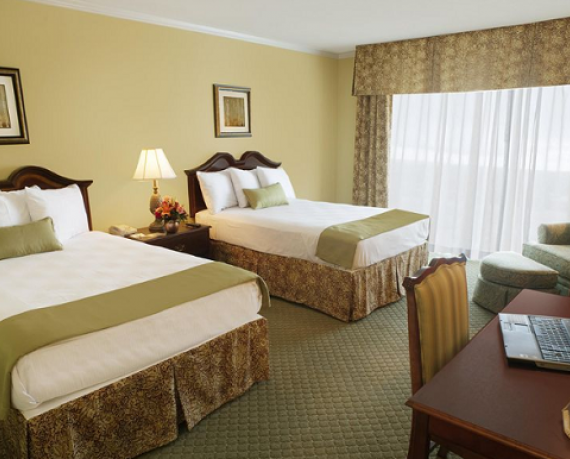 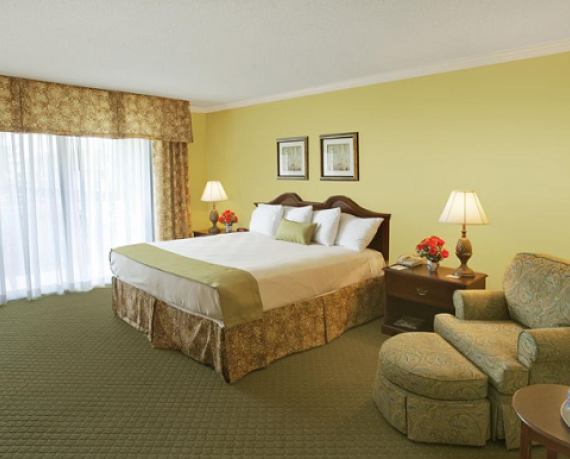 Our Double Rooms feature two double beds and a sliding glass door leading onto a balcony or patio. 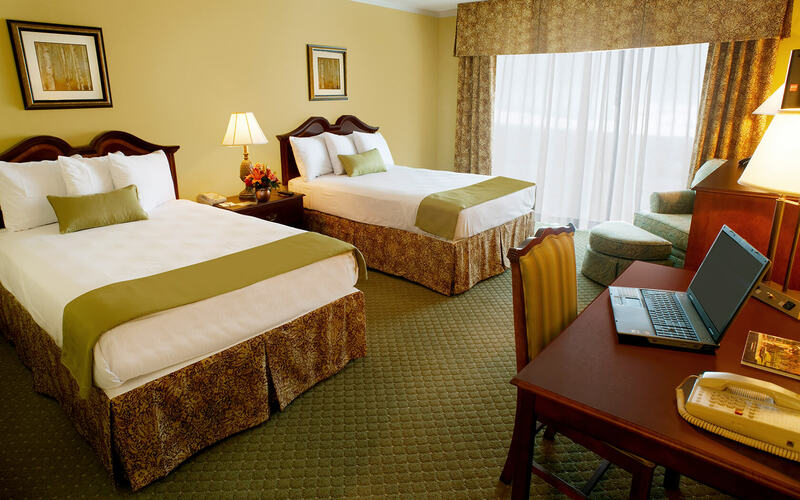 A lowered closet area, bathrooms equipped with grab bars, a bathroom bench, and a bathtub or roll-in shower highlight our Handicapped Rooms, all located on the entry-level floor. 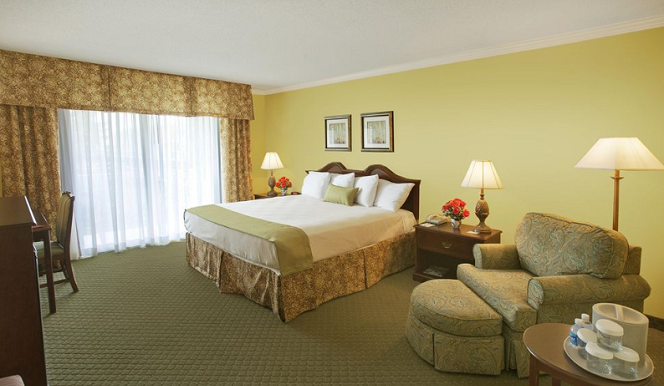 Each guest room has two double beds, a desk, and a sliding glass door opening onto a balcony or patio. 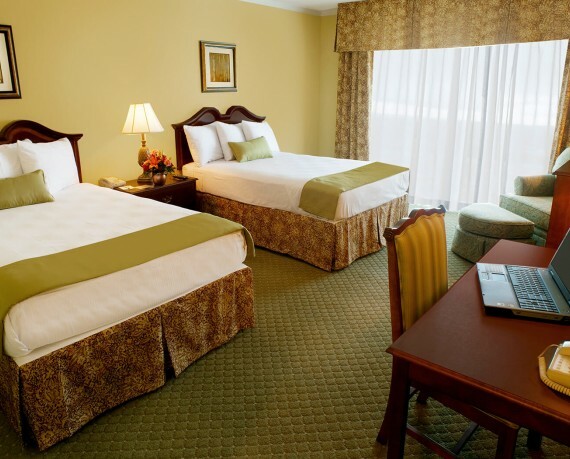 Each room connects to a Standard Room.